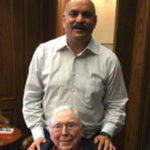 First of all, we have to compliment Mohnish Pabrai for legitimizing the investment modus operandi of novice investors. On the aspect of cloning, novice investors always used to have an inferiority complex that they are indulging in the ‘low life’ activity of peering into the portfolio of other investors and copying their stock picks. However, Mohnish changed all that by declaring that he is himself a “shameless cloner” and copies the stock picks of other illustrious investors. In one stroke, Mohnish removed the stigma attached to cloning. Similarly, the aspect of research (or the lack of it) has been a sore point for novice investors. Novice investors merrily buy stocks without even knowing what the Company is doing and what its fundamentals are. Mohnish has now put his seal of approval on this practice by declaring that he also takes “only a few seconds” to decide whether a stock is investment worthy or not. “When I get an investment idea, I just look at two numbers, the stock price and its value,” Mohnish said. “If it doesn’t hit me very strongly, with some intensity, in the first few seconds or the first few minutes, I move on,” he added in his typical drawl. “Intensive stock research can be injurious to financial health and spending too much time on a company can make you biased,” Mohnish concluded, making it clear that the academicians who write reams of research paper on stocks are making a big mistake. 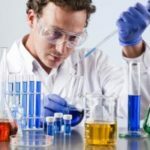 Of course, we have to bear in mind that a “few seconds” of research for Mohnish is equivalent to a “few hours” for us and so we have to do proper due diligence before parting with our hard-earned money. “Another learning that I have had in recent times is to focus on stocks in India,” Mohnish said. Saurabh Madaan, the moderator, a razor-sharp data scientist at Google, took the cue. “Tell us a little bit more … you are the master of cloning,” he prompted, flattering Mohnish in a subtle manner. “For young students and investors, can you share an example and walk us through the investment process so that they get the same inspiration,” he added, sensing Mohnish’s reluctance to talk about individual stocks. 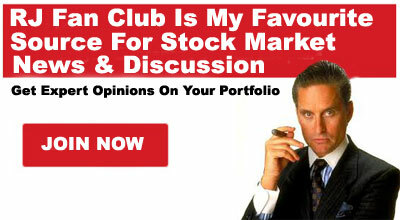 Mohnish fell for the bait and revealed crucial information about his stock picks. First, I must compliment myself because when I reported in April 2015 that Mohnish had bought a truckload of Rain Industries at the throwaway price of Rs. 34.52, I had referred to a research report by Parry Pascricha to explain the investment rationale. I called Parry Pascricha’s research report a “textbook example” of how to research a company. Mohnish has endorsed this. He credited Parry Pascricha for suggesting the stock idea and also praised him for the “immaculate” and “awesome” report. 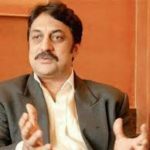 “The stock has tripled and it will keep going for a while,” Mohnish said, making it clear that more multibagger gains are due from Rain Industries. At this stage, we must note that according to Parry Pascricha, Rain Industries has a target price of Rs. 177. The CMP is Rs. 111. IDBI Capital has also recommended a buy of Rain Industries with a target price of Rs. 139. “No matter what happens, I am almost sure that there will be more tyres sold five and ten years later,” Mohnish said. He added that the situation would be better if electric cars became popular because their tyres are thinner and wear out faster. “I made an investment in a company in India which was really cheap which made one of the ingredients which goes into the rubber that goes into the tyres,” Mohnish said. “The Company will do very well,” he added. Prima facie, Mohnish is either referring to NOCIL or to Oriental Carbon & Chemicals. While NOCIL manufactures chemicals which are used to manufacture rubber which is used in tyres, OCCL manufactures “insoluble sulphur” which is used to manufacture radial tyres. We are very familiar with NOCIL because it is the favourite stock of Dolly Khanna and Ashish Kacholia. The two stalwarts collectively hold 4.85% of NOCIL’s equity. Mohnish’s name does not appear in the list of “top ten” shareholders of NOCIL as per the Annual Report for FY 2016-17. So, it is possible that he is referring to Oriental Carbon. Oriental Carbon is also in our list of favourite stocks. (iv) OCCL’s capacity expansion along with entry in North American market along with adding new larger clients is another catalyst for the stock. Daljeet’s target price of Rs. 700 for the stock has long come and gone. The stock is presently cruising at about Rs. 1,000 or thereabouts. OCCL is a favourite of Anil Kumar Goel and Prashant Jain of HDFC MF. OCCL has also been recommended by ICICI-Direct as a “Nano Nivesh” stock on the logic that it has a “unique product profile, limited competition in the marketplace and consequent sustainable strong EBITDA margins (25%+) and return ratios (RoIC: 20%+)”. Mohnish has earlier revealed his fascination for Piramal Enterprises by calling it the “Berkshire Hathway of India” and Ajay Piramal the “Warren Buffett of India”. “Piramal Enterprises is a great compounder and Ajay Piramal is a great operator,” Mohnish said, reiterating his bullishness for the stock. “If you own Piramal Enterprises, I would ignore the price for a long time so long as Ajay is healthy,” he added. However, Mohnish did not reveal whether he has an investment in Piramal Enterprises or not. Instead, he expansively said that there are “many in India who are young and with great ethos and drive,” implying that there are other companies of the quality of Piramal Enterprises which have caught his eye. Prima facie, NOCIL and OCCL appear to be no-brainers given that Dolly Khanna, Ashish Kacholia and Anil Kumar Goel have well entrenched positions in them. If Mohnish has also joined these illustrious investors, then there is no reason for us to stay aloof from these stocks. We need to give them pride of place in our portfolios ASAP! I was going through your earlier post on rain industries. People were questioning his picks.Amazing how it worked out. Among his recent buy Sunteck looks promising and a multi bagger in making.The company from a sales of 20 crores in 2007 has grown to a profit of close to 200 crores in 2017. It can have similar growth in next five years. Comparing it with godrej properties it is very cheap. Don’t understand why promoters of OCCL Goenka’s were selling there stake almost 5%. Mohnish goes for concentrated bets and in phases increases it to 10% which is the limit set for foreign hedge funds. Rain industries has reached 9% in 3 tranches.. It’s possible that he has picked up 5% of OCCL from promoters instead of from open market..
Mohnish is coming up with a India specific hedge fund this fall for the global investors. Minimum ticket size is 1m$.. In any case if he has picked it from promoters wouldn’t he be in Public Shareholder list? i don’t see his name mentioned anywhere.